It is fair to say that the educators of 2015 and beyond are tasked with a very different job description than those of even 10 years ago. As the world we live in evolves at a rate that is challenging to stay in touch with, it is critical that our education system and what we are teaching our children does the same. No longer is it enough to be disseminators of information, using “chalk and talk” as the medium to which we educate our students. No longer is it enough to teach our students to read and write and learn arithmetic. The students of today will be graduating into a vastly different world, they will be entering a global society which requires them to be “proficient communicators, creators, critical thinkers, and collaborators” (National Education Association 2015). Our students need to be armed with the skills to manage a work life balance in a world where everyone is connected 24/7. Life today is exponentially more complicated and complex than it was 50 years ago. This is true for civic life as much as it is for work life. In the 21st century, citizenship requires levels of information and technological literacy that go far beyond the basic knowledge that was sufficient in the past. With a host of challenges facing our communities, along with instant connectivity to a global society, civic literacy couldn’t be more relevant or applicable to the curricula in our schools… The rapid decline in “routine” work has been well documented by many researchers and organizations. At the same time, there has been a rapid increase in jobs involving nonroutine, analytic, and interactive communication skills. Today’s job market requires competencies such as critical thinking and the ability to interact with people from many linguistic and cultural backgrounds (cultural competency). Our students are going to be the programmers and policy writers of the future, they will be the people who are trying to solve some of the world’s most complicated problems such as global warming, the refugee crisis, financial meltdowns and dealing with an exponentially growing technological world. But no longer can the people of one country tackle these tasks alone. However in order to prepare our students for the life that lay ahead of them, we need to acknowledge the needs of a 21st Century Learner. We need to ensure they are self-directed learners, globally aware, communicators, problem solvers, critical and creative thinkers, civically engaged, collaborators, information and media literate, financially and economically literate and innovative. As educators we need to be providing our students with opportunities to participate in well designed and planned collaborative learning experiences, not just within the four walls of our classrooms but globally. Furthermore, globally connecting provides exciting opportunity for students, especially when teamed with Project-based Learning (PBL). It gives students an opportunity to practice these essential 21st Century learning skills, but also engage with other ‘real people’ and sources – and form emotionally engaging and authentic connections to what they are learning. What are the outcomes of connected learning? This reference to the existing educational model which gives less access to learning is the key reason why we as educators should connect our students globally.Connected learning focuses attention on the spaces of integration and translation between divergent domains of knowledge, culture, and social practice.Connected learning is oriented to outcomes that are both individual and collective in nature. 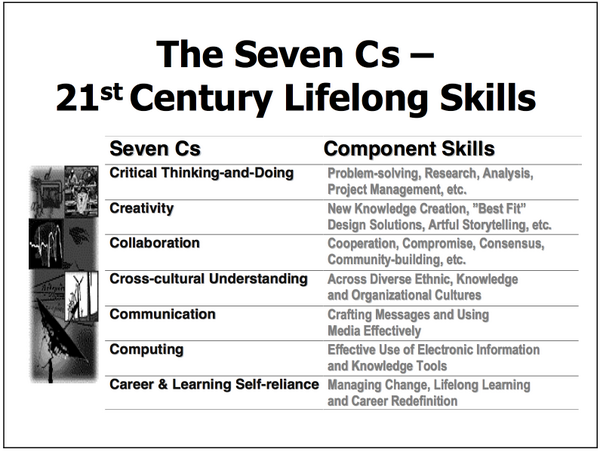 These include 21st Century skills, dispositions, and literacies such as systems thinking, information literacy, creativity, adaptability, conscientiousness, persistence, global awareness and self-regulation as well as the cultivation of interests, building of social capital, and a positive orientation to academic subjects. 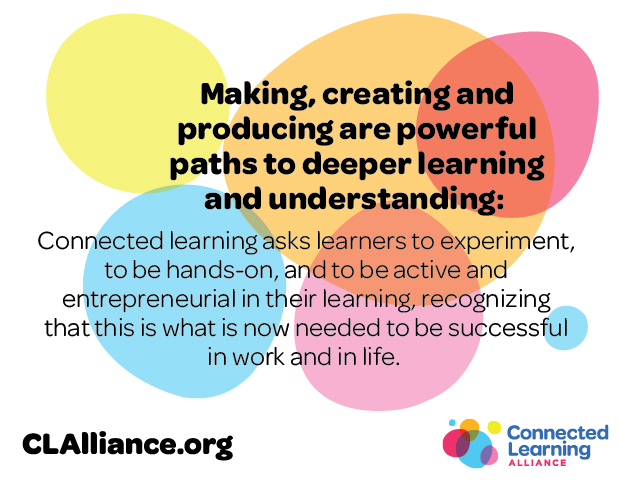 Because the connected learning model takes an ecological and networked approach, these individual outcomes are tied to societal outcomes that are collective in nature. These include building high quality forms of culture and knowledge, civically activated collectives, and diverse pathways for learning and recognition. In this way, the support and cultivation of individual capacity is part and parcel of a broader vision of an educational system that is vastly more effective, equitable and essential.